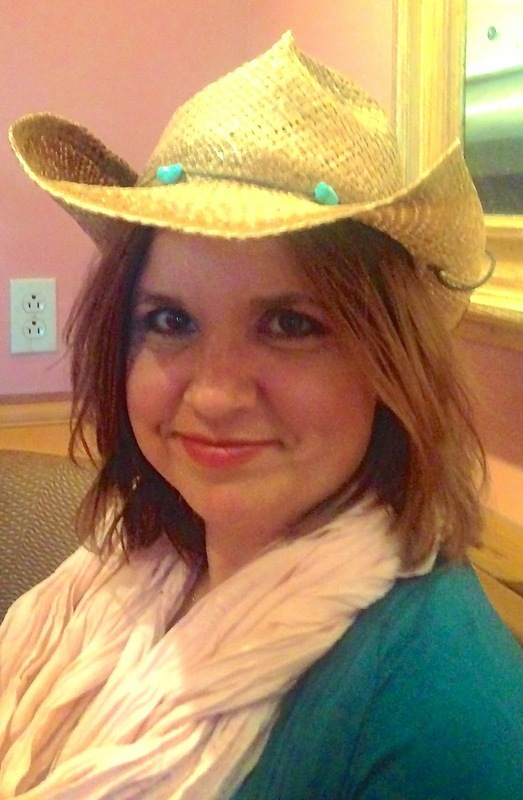 Amy's Creative Pursuits: Howdy Folks! Howdy Folks! Have you missed me? I've been out west for the past seven days, but I plan on returning to the frigid north tomorrow. My husband and I took a road trip to New Mexico and Colorado and had a wonderful adventure. I will be sharing many, many, vacation photos and stories in the months to come, but for today, I just wanted to stop in a bit and say "Howdy!" just in case some of you have been wondering why I haven't been posting. But I also have a simple card to share with you today. I made it a long time ago for a friend's birthday, but because of the simplicity of the card, and the lack of a sentiment, it would make a great all purpose card as well. 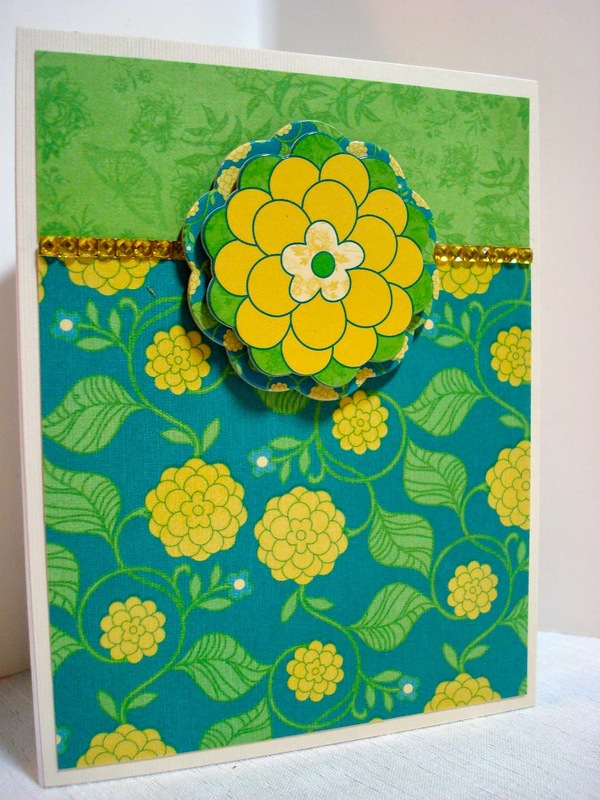 I simply used coordinating designer paper by DCWV and applied it to a card base. Then I added a strip of gold adhesive crystals where the line of the two papers would be. 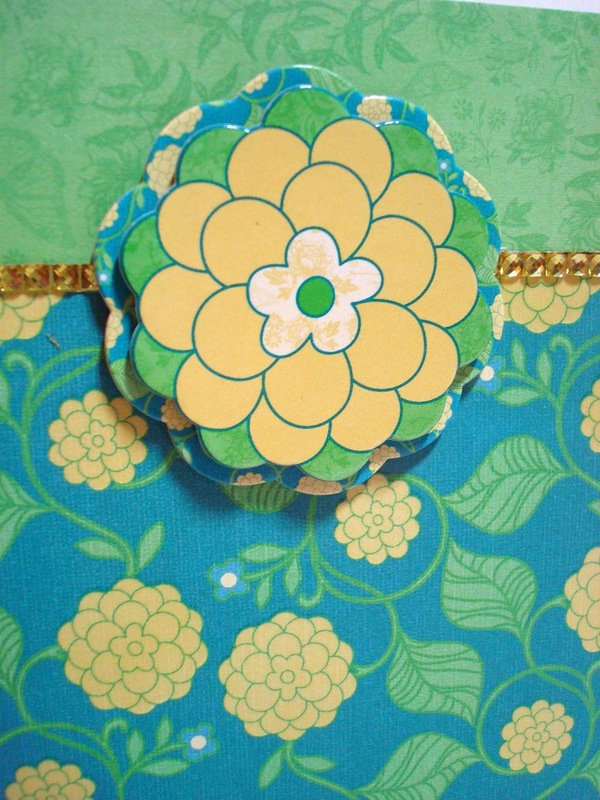 The flower medallion is a 3D piece of chipboard that coordinates with the paper, and was purchased separately. I can't wait to share with you all of my adventures, and what I wore and ate on my trip. But it might be a few days before I can post again. I'm sure when I get home, there will be lots of unpacking and laundry to do, and then of course they will want me back at work the very next day, so it might be a little hectic and crazy before I have time to do a post.